- bugs related to character switch fixed. 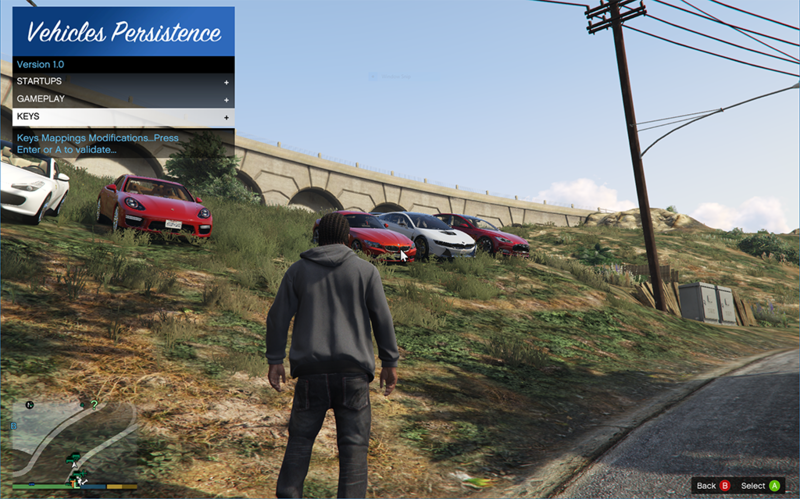 "Vehicles Persistence 1.3" folder in the zip file, inside your scripts folders in the GTA5 base directory. 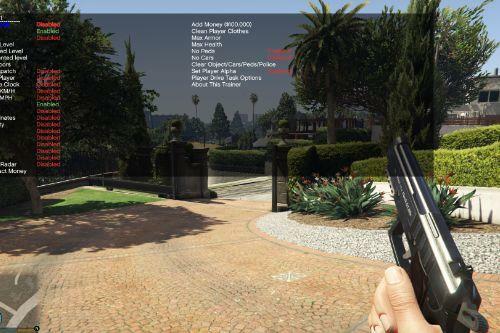 - one named "Vehicles Persistence 1.3"
- the other named "Vehicle Locator Beta 1.3"
4- the folder "Vehicle Locator Beta 1.2" can be copied at a location of your choice on your pc. - correction of the process to remove duplicates. - change in the ini file. 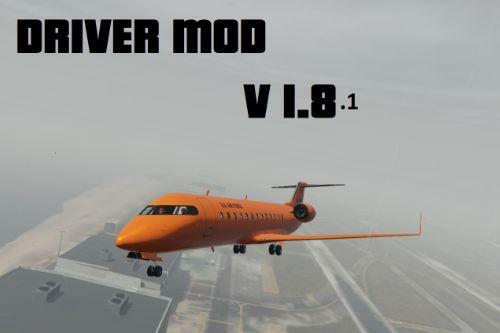 check the mod menu for details. - one named "Vehicles Persistence 1.2"
- the other named "Vehicle Locator Beta 1.2"
- Rework of the "No Vehicle Position Update Option"... allows you have the vehicle always respawned where it was saved for the first time even if you left it somewhere else in the last session. - another blip issue fixed. - radio persistence per vehicle... the radio station is persisted with the vehicle. * All characters vehicles available, if you want to have all the vehicles saved by the characters visible... demanding in resources, so suitable for powerful machines. 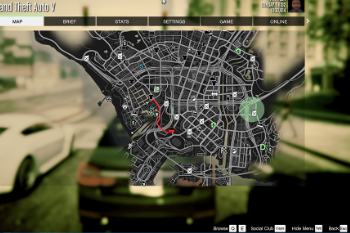 - option to make a vehicle respawn always where it was save by disabling the vehicle position update option. N.B: Many thanks to DirtSpray for his tremendous help during the development of the mod...hope you'll enjoy! 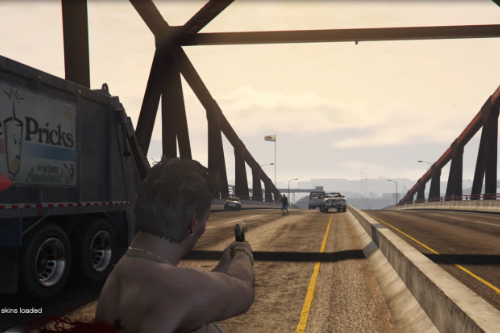 - Addition of a keystroke to unsave a vehicle without destroying it("End" by default...can be changed in the ini file. - Random custom Tyres fixed. - correction of the ARGB colors...the A(alpha) was omitted in the previous version...it's now processed. - correction of the loss of persistence at character switch...this was a major issue that needed being fixed a.s.a.p...it's now done. You have 2 variations of the same mod in the zip folder. !!! ONLY ONE OF THEM HAS TO BE INSTALLED...NEVER BOTH..
by a skin changer script, to keep the cars he likes anywhere in the game...even in garages(if you which...). am not to sure...will be investigated soon. 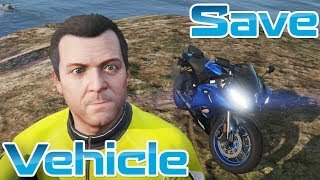 - Save any vehicle anywhere in the game. 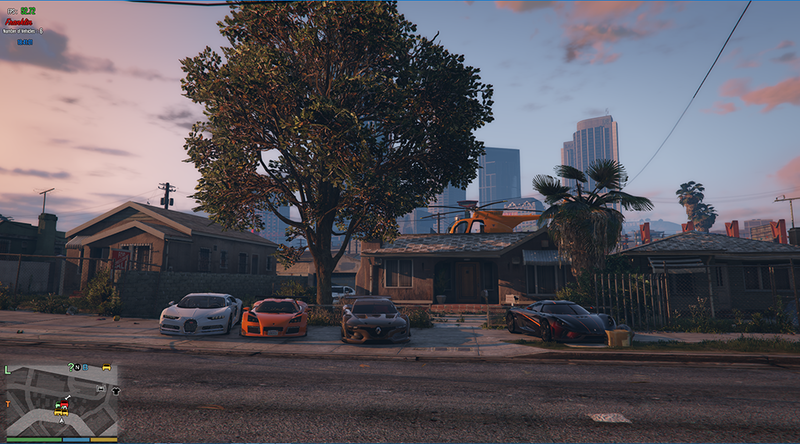 - locate the saved vehicles on the mini map when pressing a key. 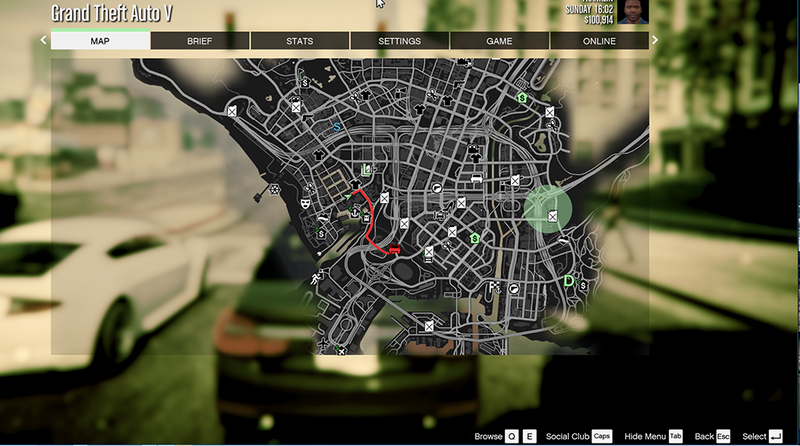 - automatic location of the last used saved vehicle after a mission,after death, and after arrest on the minimap. - display of the gps path to the last used saved vehicle. - The Stat display can be disabled with a keystroke. - Display of altitude(AGL) when inside flying vehicles. - All saved cars icons on the mini map, the current or last saved car in a different color. Just copy the containt of the downloaded zip file in the "scripts" directory of you game in the root directory of your game. the containt of the zip file inside the newly created "scripts" directory. This script requires ScriptHookV.Net to run. to its installation instructions before using this script. 3. If some major problems arise, please send a message to the provided email address at the end of this readme file. All those infos can be hidden by pressing F12 or any other key you set in the ini file. the vehicle. The file can be edited if you know how to work with xml files. please send an email to dotnet.dev@outlook.com and i will be glad to respond. the mod is working great. but just one problem whenever i install new mods the blips of other mods not showing on map but the mod itself still working only blips dissapearing. Any idea on that? I HAVE OVER 50 ADD-ON CARS SAVED IN-GAME. IS THAT THE REASON WHY MY GAMES KEEPS CRASHING EVERY 30MINUTES TO 1HOUR? SOMETIMES EVERY 10MINUTES..
@Calderon Good work on this mod and keeping it updated. I am recently having an issue and the only error log that comes up with anything is the error log for this mod. I don't quite understand what it is trying to access when it throws the codes and crashes. It does always happen as I'm approaching my modded interior I'm working on with about 35ish saved cars/motorcycles and one heli. It also seems to happen mainly when I'm airborne trying to land. Usually the plane/heli I'm in during this testing is not a saved vehicle if that matters. Here is short section of the error log. Ps. 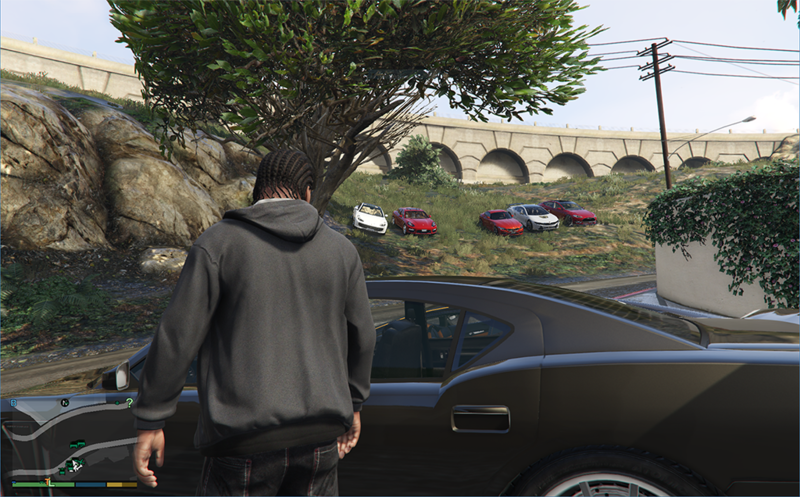 Most of the cars are vanilla, maybe 10 are addon ones. this error is not related to my mod... i am going to change the code base on the next version about the function writting in the error_log file, because instead of capturing errors for my mod only, it captures errors for nearly any .net script you will have running alongside my script... i am actively working on version 2.0 and this will be sorted... but for the error, it has something to do with the map editor if you have it installed.... Sorry for the late reply. It's kind of difficult for me to tell you what to do because i haven't been able to reproduce the issue on my machine... but usually, textures disappearing can be linked to the fact that the Pc is struggling to display everything it has to display... remove my mod for a day or two and see if you still have the issue... if no, it means the processing of the mod is putting a load on your cpu... then you will have to use it with the "All Characters Vehicles " disabled in the menu... it might help. Hi, I've already removed ME since I don't use it anymore since I figured out mlo interiors. I totally forgot about this issue since it hasn't happened in week now. @rodas22. 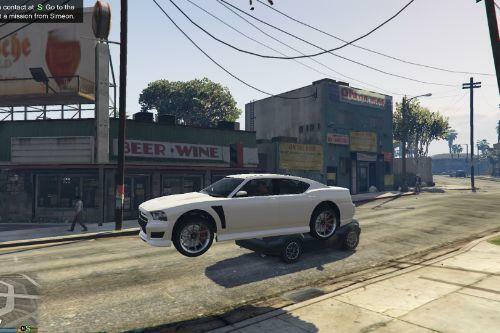 How many add-on cars are you trying to save with this mod? I had the same issue as you described and it was due to poorly constructed add-on cars. I could only get about 11 addons saved then i would have issues. 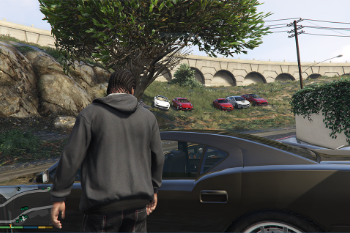 So now I only have like 3 addon cars and about 40 vanilla cars saved and no issues. 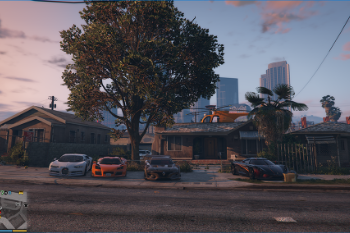 It could be one particular car or it could be a group of cars from one modder if they don't know how to set one up properly with LODs. @Calderon its really good but there seems to be an issue with it with using it along side the Benny's Mod..can you possibly look into this? @Calderon Hello. 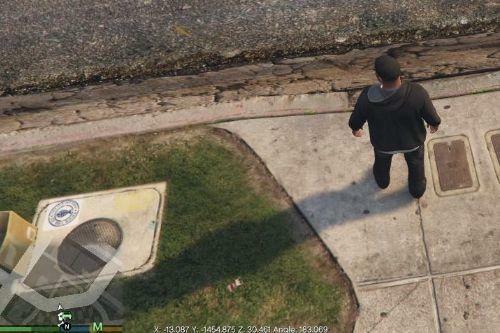 Your mod is great. Works perfectly, but, for some reason it messes up other mod's map blips. Any idea how to fix that? I mean, if I use your mod, for example, Drag Meets mod does not have any map markers, after putting your script out of the folder, blips show up. For some reason this mod causes a herky-jerky performance in my game, causing "hickups" every few seconds, throwing countless errors in the process... The game freezes for a milisecond and is back to normal, then again, and again, and again. I have confirmed it happens only when this mod is enabled. Besides, when I finish playing, the mod's log is swollen to some ridiculous size (3,5MB in a notepad file? Really?) It seems it throws some sort of error every few seconds. Somewhat shabby work if you ask me... Yet, the only persistence mod that I know of that works during missions too. Found out that benny's mod still works..its just that the blip is gone but when go go into the garage it still works..hope you update this soon..
@rodas22. Exactly the point of my first response. You have too many poorly optimized addon cars. Their files sizes makes it so the game is trying to load like 4 or 5 vanilla cars worth of data for one addon car. It can't handle that so you get issues. Gotta be picky on what addon cars you have. 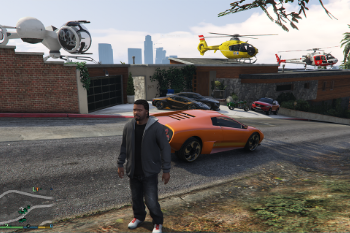 I have over 50 vanilla cars and 6 addon cars in one single spot for Franklin and have zero issues with any textures or other type of hiccups or glitches. @TheMurderousCricket You sure about it being this mod causing your issues? The log for this mod logs errors with other mods. I kept getting error logs for other mods in this mod's log. Once I got rid of the other crappy mods, this one has worked flawless for me, and have not had anything else show up in this mod's log file since I originally had my issue I posted about awhile ago.